(1) : 23 Apr 2019 : Sapura Energy secures work offshore Egypt, Malaysia, Indonesia (offshore-mag.com). 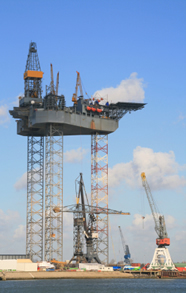 (2) : 23 Apr 2019 : Drilling rig contractors have strong first quarter, report finds (offshore-mag.com). (3) : 23 Apr 2019 : Velesto bags four contracts worth US$104.68m from Petronas... (theedgemarkets.com). (4) : 22 Apr 2019 : Petrobras extends BassDrill Beta contract (oedigital.com). (5) : 22 Apr 2019 : GDI in drilling services contract with NOC (oedigital.com). (6) : 21 Apr 2019 : U.S. oil drillers cut rigs for first week in three: Baker Hughes (brinkwire.com). (7) : 20 Apr 2019 : Number of U.S. active drilling rigs decreases this week (xinhuanet.com). (8) : 19 Apr 2019 : Saipem increases revenue thanks to new deals (energyvoice.com). (9) : 19 Apr 2019 : Gloria Offshore Oil Platform, drilling gas for 43 years, to be... (actmedia.eu). (10) : 19 Apr 2019 : US total oil, gas rig count falls by 14 on week to 1,076... (spglobal.com). (11) : 18 Apr 2019 : Keppel bags deals worth around £90m (energyvoice.com). (12) : 18 Apr 2019 : Gulf Drilling International sells Al-Doha jackup in a step to... (thepeninsulaqatar.com). (13) : 18 Apr 2019 : Murphy contracts Transocean ultra-deepwater drillship (offshore-mag.com). (14) : 17 Apr 2019 : Petro Matad signs rig contracts for 2019 drilling program... (youroilandgasnews.com). (15) : 16 Apr 2019 : Supreme Court to hear fight over standby wages for oil-rig workers (Reuters). (16) : 15 Apr 2019 : MHWirth bags Keppel FELS contract (oedigital.com). 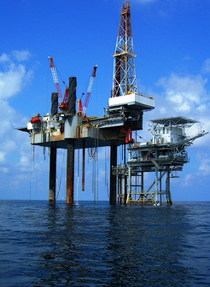 (17) : 15 Apr 2019 : First Chinese deep-water rig in the South China Sea... (chinaknowledge.com). 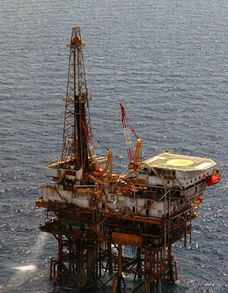 (18) : 15 Apr 2019 : Crude lower on rig count data, demand forecasts (spglobal.com). (19) : 14 Apr 2019 : Basin rig count up while U.S. count declines (oaoa.com). (20) : 13 Apr 2019 : Sapura Energy secures US$315 million new wins (youroilandgasnews.com). (21) : 13 Apr 2019 : Qatargas lets offshore jackets contract for North field (ogj.com). (22) : 13 Apr 2019 : U.S. drillers add oil rigs for second week in a row -Baker Hughes (Reuters). (23) : 12 Apr 2019 : Buru Energy on fast-track to start new drilling program... (proactiveinvestors.co.uk). (24) : 12 Apr 2019 : Controversial Chinese oil rig drills first well in east South China sea (theweek.in). (25) : 12 Apr 2019 : US oil, gas rig count drops by eight on week to 1,090... (spglobal.com). (26) : 11 Apr 2019 : West African offshore rig market remains subdued (offshore-mag.com). (27) : 10 Apr 2019 : Well-Safe purchases first rig (offshore-mag.com). (28) : 10 Apr 2019 : i3 Energy hires drilling rig for North Sea programme (offshore-technology.com). (29) : 9 Apr 2019 : Saipem wins US$200mn offshore drilling contracts (oilreviewmiddleeast.com). (30) : 8 Apr 2019 : Tender rig specialists to merge (oedigital.com). (31) : 8 Apr 2019 : Oil-rig count in US rises for first time in seven weeks (wallstreet.org). (32) : 6 Apr 2019 : Saipem signs long-term deals for two offshore rigs (offshore-mag.com). (33) : 6 Apr 2019 : Texas, Permian rig count up 8 (mrt.com). (34) : 6 Apr 2019 : Rig count spikes after weeks of declines (chron.com). (35) : 5 Apr 2019 : KCA Deutag secures US$54mn land drilling deals (oilreviewmiddleeast.com). (36) : 5 Apr 2019 : Inpex lets drilling rig contract for Ichthys field (ogj.com). (37) : 5 Apr 2019 : US oil and gas rig count rises 21 on week to 1,098... (spglobal.com). 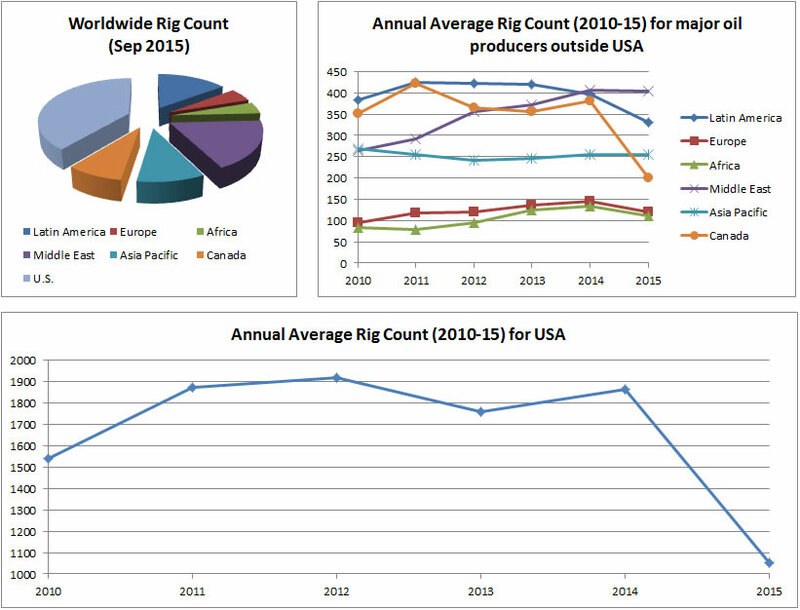 (38) : 4 Apr 2019 : Consultant finds 230 rigs retired since 2014 (offshore-mag.com). (39) : 4 Apr 2019 : Lukoil completes construction of seventh well in Caspian... (youroilandgasnews.com). (40) : 3 Apr 2019 : Borr Drilling buys cut-price jackup rig (splash247.com). (41) : 3 Apr 2019 : Jadestone resumes Stag drilling (oedigital.com). (42) : 2 Apr 2019 : Borr anticipates new jack-up rig will generate positive income (energyvoice.com). (43) : 2 Apr 2019 : Ensign awarded eight new rig contracts in Canada, the... (jwnenergy.com). (44) : 1 Apr 2019 : An oil rig is going to block Ibizas iconic sunset (mixmag.net). (45) : 1 Apr 2019 : Baker Hughes oil rig count 816 vs 824 last week (sbdirtysouthsoccer.com). (46) : 31 Mar 2019 : Working-rig count drops for 6th straight week (kallanishenergy.com). (47) : 30 Mar 2019 : U.S. drillers cut most oil rigs in a quarter in three years... (news.yahoo.com). (48) : 29 Mar 2019 : Shelf Drilling wins 3-year extension for rig (oedigital.com). (49) : 29 Mar 2019 : JDC secures drilling contract in Vietnam (oedigital.com). (50) : 29 Mar 2019 : Canadian oil company to launch new drilling rig in Azerbaijan (azernews.az).